Health, Safety, Environmental and Quality. Health and Safety is of paramount importance to us at Cool Logic. We value the safety of all our staff, both on and off site and make the safety of any person affected by their actions a priority. With this in mind, we have invested heavily both from personal commitment & financially in HSEQ since establishment. We are Alcumus SAFEcontractor accredited, RESET accredited, FSB Members and have the assistance of our HSEQ Consultants MecSafe Ltd to assist, advise and keep us abreast of current legislation. Our Managing Director is IOSH certified, our Operations Manager is SMSTS qualified and all our engineers and operatives carry the necessary relevant competency training i.e. CSCS, SSSTS, PASMA, IPAF, F Gas, Asbestos Awareness etc. Our sub-contractors have to meet similar competency standards and are vetted through our Health & Safety Consultants and Alcumus SAFEcontractor. This commitment goes a long way towards providing the maximum amount of employee safety at all times. Our company have never received an advisory notice and we work in line with the HSE and industry best practice guidance and regulations. 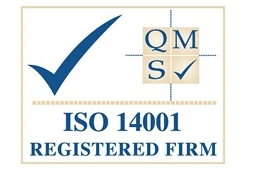 We are certified to ISO 9001 Quality Assurance and ISO 14001 Environmental Management. Our Refcom certification means we abide by the current F Gas legislation and ensures your site is also compliant with traceable procedures.